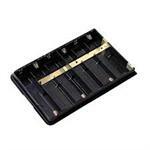 CBE-83: Battery Eliminator for Yaesu & Vertex FT-60R, VX-110, VX-150, VX-170, FT-270R, VX-210, VXA-120, Aviator Pro V etc. 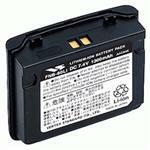 CBE-83: Battery Eliminator for Yaesu and Vertex radios such as FT-60R, FT-60RE, VX-110, VX-150, VX-170, VX-177, VX-180, VX-210; VXA-120, Aviator Pro V, Aviator Pro IV, Aviator Pro III, FT-270R, FT-277, Aviator Pro II, etc. 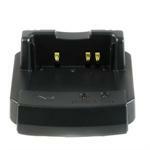 FBA-21 : Yaesu/Vertex-brand 6-cell AA battery case. Fits FT-10R, FT-40R, FT-50R; VX10, VXA-100, Aviator Pilot, Aviator Pro radios, etc. Provides handy instant power when loaded with 6 x Alkaline AA cells (batteries sold separately). 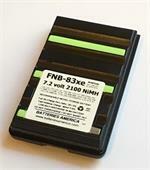 FNB-V67Li : 7.4 volt 2200mAh rechargeable Li-ION battery for Yaesu & Vertex radios. 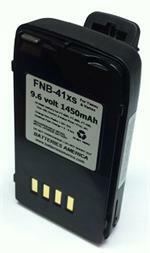 FNB-41xs : 9.6 volt 1450mAh rechargeable High-Watt LONG LIFE Ni-MH battery for Yaesu & Vertex radios. Includes belt clip. 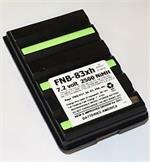 Replaces FNB-41, FNB-42. Fits FT-50R, FT-40R, FT-10R, VXA-100, etc. EMS-57-83: Desktop Rapid Charger for Yaesu & Vertex style batteries such as FNB-64, FNB-V57, FNB-V57x, FNB-83, FNB-83xh, FNB-83xe, FNB-V94, etc. Charges Ni-Cd AND Ni-MH types. 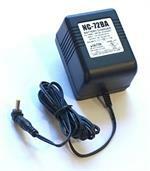 EMS-41: Desktop Rapid Charger for Yaesu & Vertex FNB-41 style batteries. Charges FNB-41, FNB-41xh, FNB-41xs; charges Ni-Cd and Ni-MH types. Includes worldwide AC-DC wall power supply. 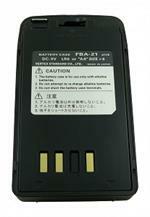 FBA-23BA : 2xAA Alkaline battery Case for Yaesu & Vertex radios. Replaces original FBA-23. Load with 2 x AA Alkaline batteries for handy instant power! 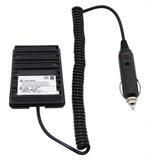 VAC-810B : Desktop Charger for Li-ION FNB-V67Li and FNB-V62Li for Yaesu and Vertex. Includes Smart Charging Base and Wall Power Supply.